a winner and a nice weekend! I asked JC to randomly pick a number between 1 and 60 and he said, "OK." And I said, "What is it?" To which he replied, "Do you want me to say it out loud?" I said, "yes" and he said, "20." Thanks so much everyone for playing along. Deana, please email me your address so I can have the Scarlet Lime kit sent out to you. You will LOVE it. Hope you all had a lovely weekend... here's a photo of snow in Los Angeles. 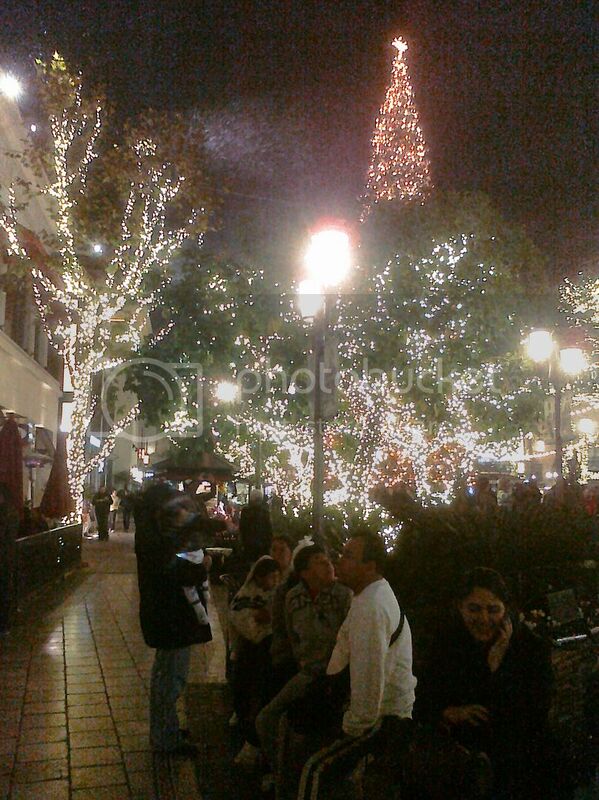 It's at the Grove and apparently they do this every year. It's quite a fun sight and the tree is HUGE. Will update tomorrow with more fun pics from the weekend.